With a combined history dating back to 1911, the Erickson-Crowley-Peterson Funeral Home has been serving families since 1911. In 1948, J. Gustaf Erickson, a graduate of the American Academy of Mortuary Science in New York City, opened the Erickson Funeral Home. In 1952, Edward J. Crowley, a graduate of the Wisconsin Institute of Mortuary Science, bought the Shea Funeral Home in Calumet and began operating it as the Shea/Crowley Funeral Home. In 1956, he moved the business into the former Vertin residence on 8th Street in Calumet, and renamed it as the Crowley Funeral Home. After Edward's death in 1972, the business was sold to James Laurinaho. In October of 1948, J. Gustaf Erickson opened the Erickson Funeral Home at 210 8th Street in Calumet and operated it until 1975 when he retired and sold the business to James Jukuri. In 1981 both James Laurinaho and James Jukuri, who also are lifelong friends, decided to combine their business into one. Together, they put up the building which housed the Erickson-Crowley Funeral Home located on Pine Street in Calumet. They owned the business until July of 2003 when they sold the business to Joel L. Keranen, a longtime employee. In April of 2013, Joel bought Peterson Funeral Services from Karl Peterson, adding the Peterson name to the business. 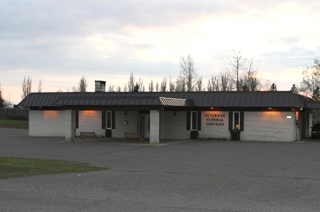 The Peterson Funeral Home had been serving families across the Copper Country since 1911. 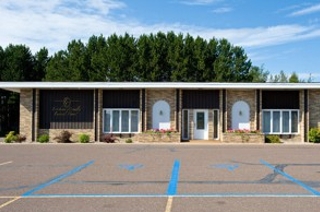 The combined Erickson-Crowley-Peterson Funeral Home has a single location on Pine Street in Calumet.